Burakovsky extended his goal streak to three games after he wasn't traded at the deadline. 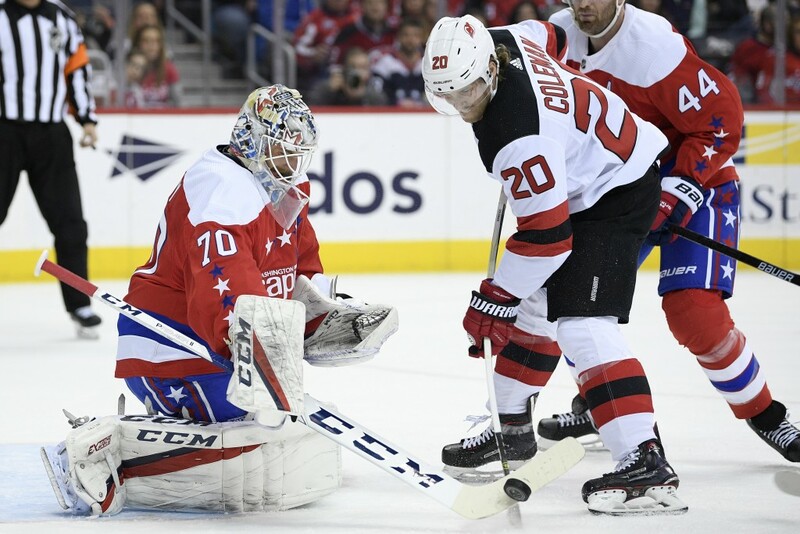 Holtby made the coaching staff look smart for giving him a fifth consecutive start by robbing Devils All-Star Kyle Palmieri and making a handful of other important saves in a game that shouldn't have been so close. It wasn't the prettiest performance for the defending Stanley Cup champions, who won despite taking six minor penalties. The Capitals had just three shots to show for more than four minutes of power-play time in the first period and didn't look crisp in almost any aspect of the game. 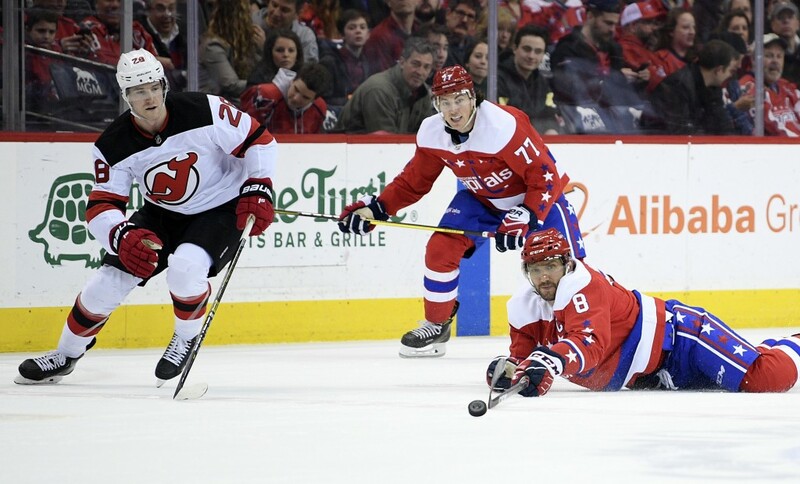 Assistant coach Blaine Forsythe said on the team's radio broadcast at the first intermission that the first period was "garbage" and the Capitals were outworked. Two valuable points broke a tie with the New York Islanders to put Washington in sole possession of first place in the Metropolitan Division, but more consistency will be needed down the stretch to stay in that spot. New Jersey sent out a patchwork lineup with many players who started the season in the minors. The Devils were without last year's NHL MVP, Taylor Hall, and six other regulars in what has turned into a lost season. 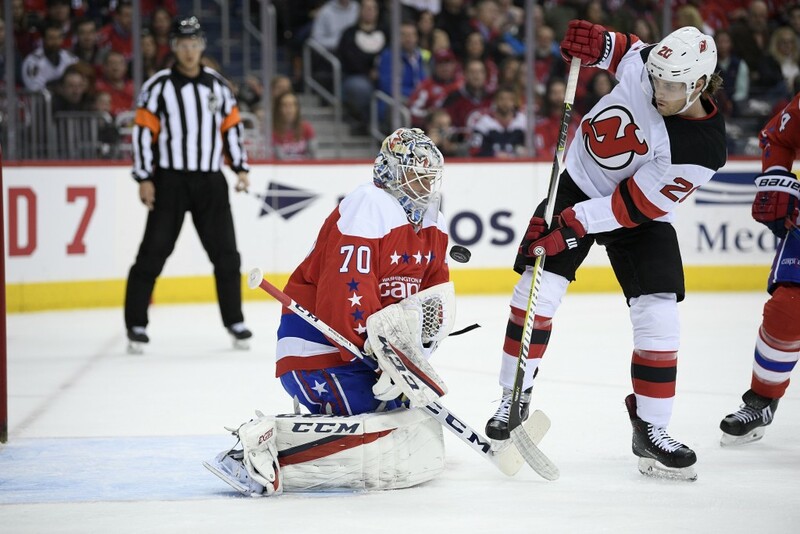 Mackenzie Blackwood did his best to keep the Devils in the game by making 33 saves, but the rookie goaltender had little chance of stopping Burakovsky's shot on the rush 2:40 in or Backstrom's power-play tap-in in the third period. The Devils went 0 for 6 on the power play to drop to 0 for their last 24 and lost their fifth game in a row.